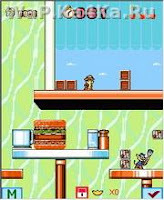 Chip n Dale Rescue Rangens is A New Launched Java Game In 240x320 Screen Size, It Will Run I Low Memory Two. This Is A Very Easy And Attractive Game. Just Like A Tom And Jerry.